The Somdej Thaan Koo Pim Hoo Jud is one of a Major Pantheon of 12 different Pim Song models in this series, including a miniature 'Pim Kanaen' Pra Somdej. 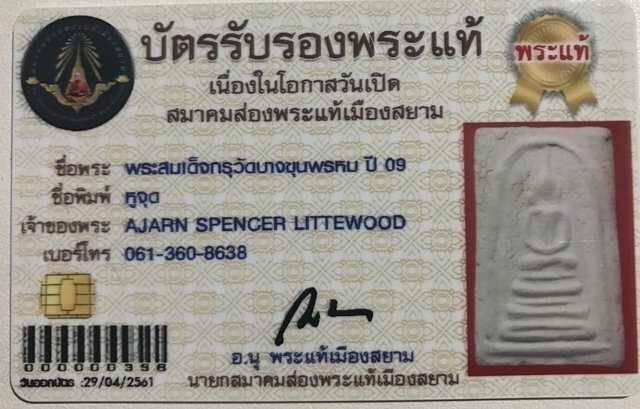 The series also included a Pim Jantr Loi circular votive tablet, a Sayasana reclining Buddha, a Pra Pong Pim Somdej Dto, and a Pra Pong Pim Pra Sivali, as well as some Bucha statues. 1. 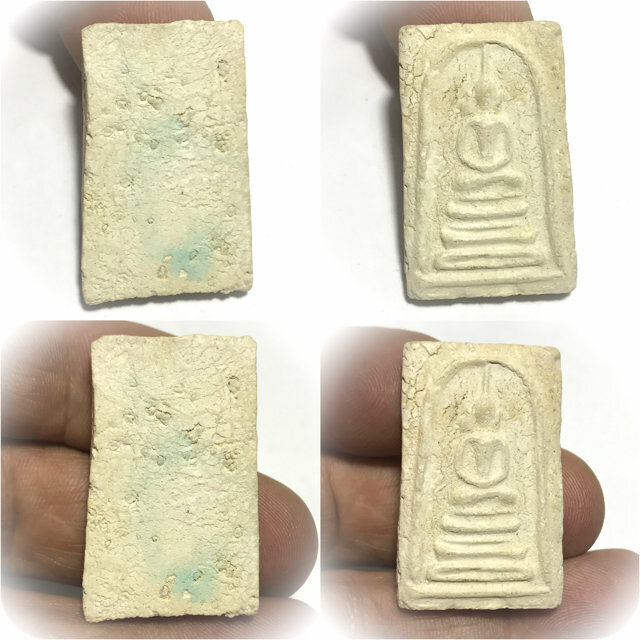 Lung Chaem Bua Plien Si - the block press mold designs made by this artisan replicated the classic design opf Wat Bang Khun Prohm amulets, with the slight difference that the images were slimmer than previous designs, and a few Special Pim block press molds were made by this artisan. Four of the Monks took their positions for 'Nang Prok' meditative empowerment on their respective daises, and held the Sinjana cords which led to the amulets, coming down from the ceiling of the Uposatha Shrineroom, and began to empower the amulets. The statue was placed on the Putta Sima under and arched edifice next to the large Chedi Stupa of Wat Bang Khun Prohm (the one where the famous Kru Bang Khun Prohm hiding place amulets of Soomdej Dto were found). A carved stone table with the insignia of His Majesty the King was placed into the shrine to mark the occasion of His Majesty's presence. 1. Pra Banju Kru - these amulets were rented to devotees at 1 Baht each, for the devotee to make merits by placing the amulet inside the Kru Chamber of the Chedi Stupa for posterity. These amulets had the word 'Banju' (meaning to put inside the Chedi), embossed on the rear face. 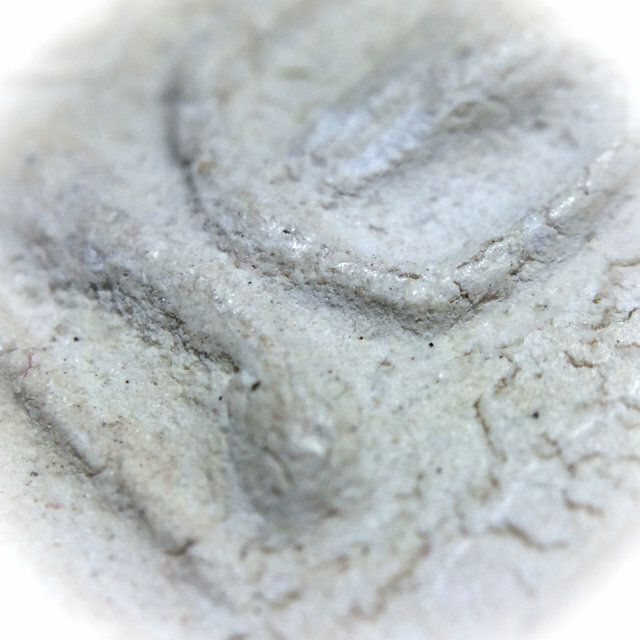 84,000 Pra Somdej amulets were made for this purpose with the word 'Banju' on rear face 2. 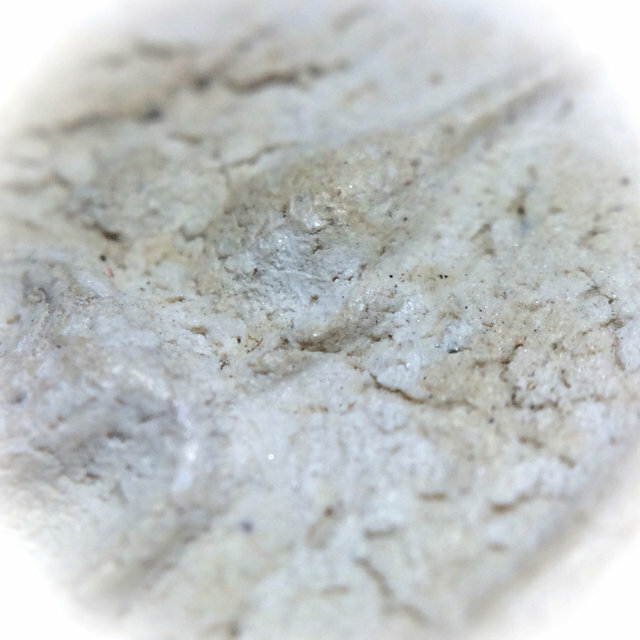 Bucha - these amulets were made for Bucha reverence and for Devotees to wear and take home with them. These amulets were distributed to the Public for Bucha at 10 Baht each, except for the Sayasana reclining Buddha model, which was 'rented' for Bucha at 25 Baht each. Some sets of 11 Pim Song Models were also distributed to devotees who wished to donate more funds (all models except the Sayasana), at 100 Baht a set. 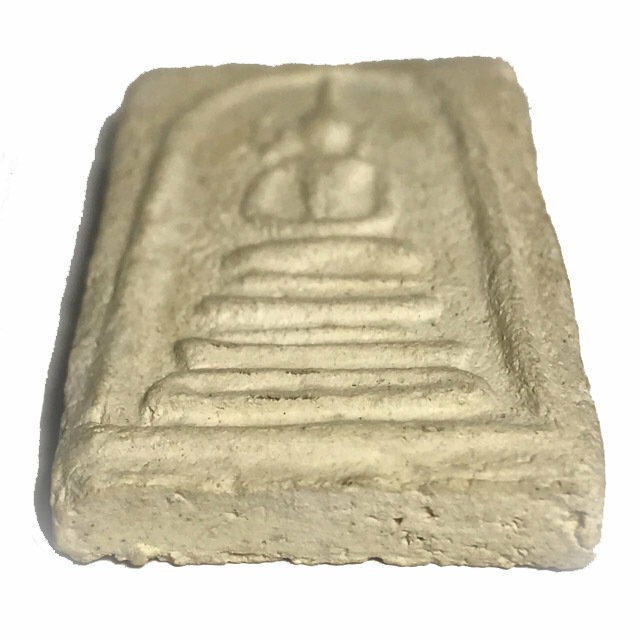 These amulets had the rubber ink stamp with the Chedi of Wat Bang Khun Prohm stamped on the rear face, with 84,000 amulets pressed in this type. 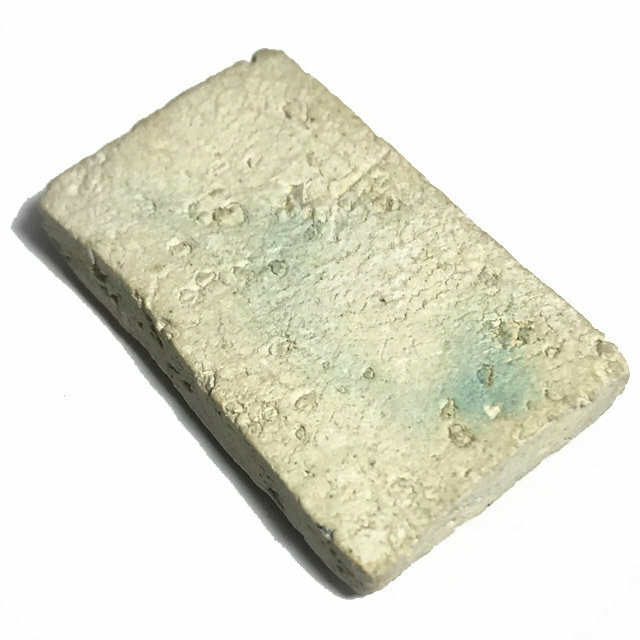 However, after removing any broken or defective amulets from the batch, only 72,518 amulets were actually intact and distributed. To compare, one has to find an amulet for comparison which came from exactly the same block press, of which there were many. 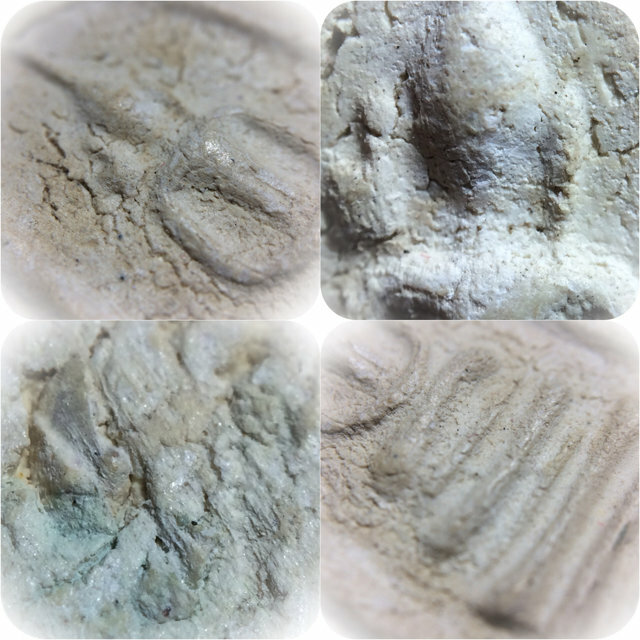 this is where one's studies of the historic facts, and ability to recognise which Block press Mold an amulet comes from, is essential study for students and aficionados of the Wat Bang Khun Prohm 09 series (and any series for that matter). 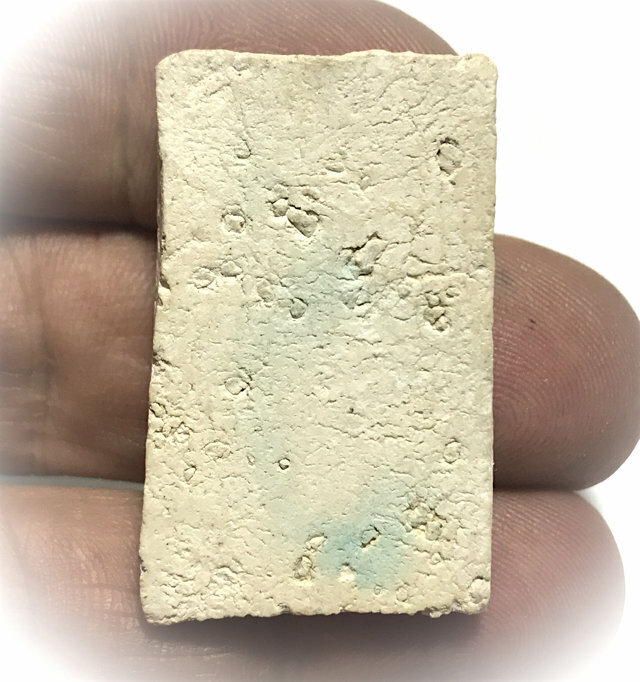 To give an idea as to how many different block presses there were, we can take a look at the fact that merely the Pim Yai (Pim Pra Pratan) model, had a total of 27 Block Presses made and used to finish pressing the whole series. 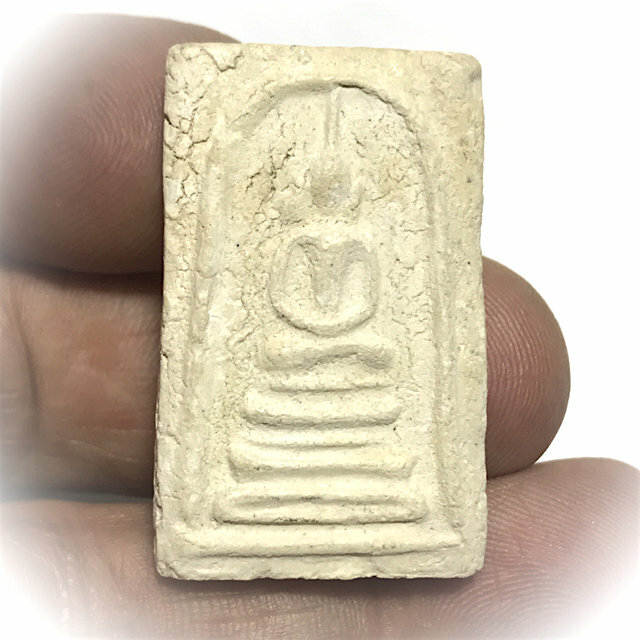 The Pim Gaes Talu Sum model, was orginally pressed as a Pim Yai Block Press, but the Block Press broke where the tip of the Buddha's topknot touched the arch. 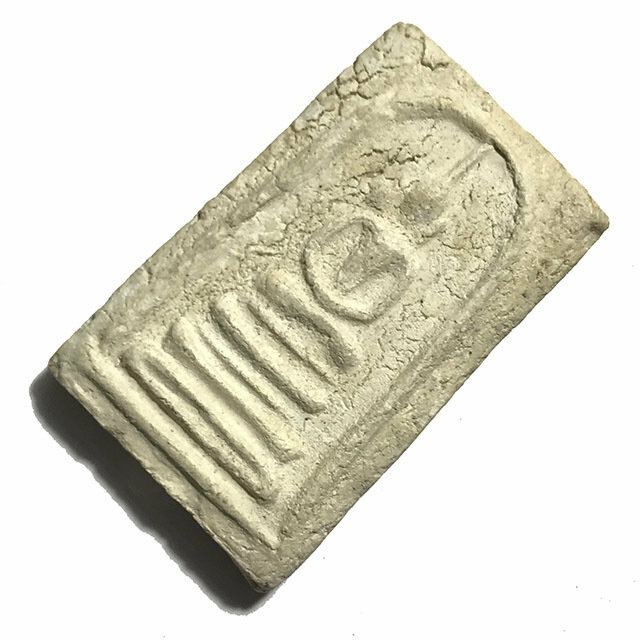 The amulets were then filled into the chamber, with six silver foils in layers between each pile of amulets, with the words 'Banju Pi 09' on them, so people who may discover them in the far future will know which year they were buried in, and from which edition they came from. 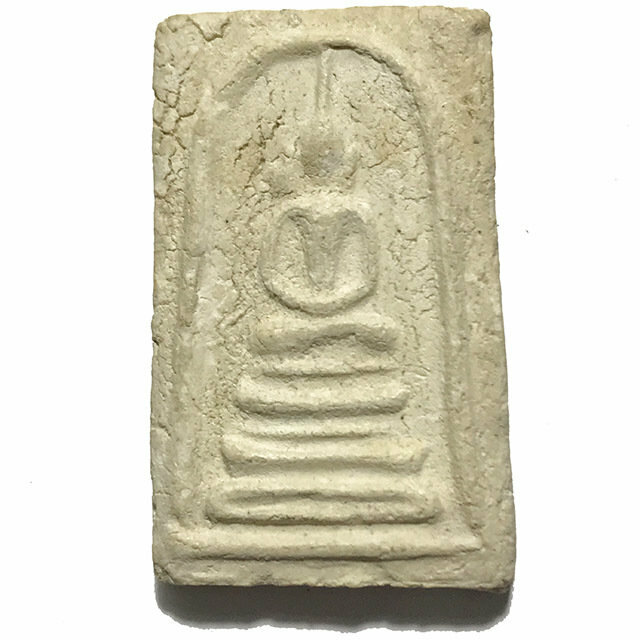 It is because of how the amulets were well stored and protected against the weather and elements, that the Pra Somdej Kru Wat Bang Khun Prohm 09 edition is more attractive that the 2500 BE Kru Chamber opening edition.